This story proves that the negative associations with the phrase “like a girl” seriously need to be abolished forever. It also shows how much more investment is needed in women’s sports, from media coverage, to sponsorship, and general encouragement from a grassroots level. An all-girls amateur soccer team in Spain have done the unthinkable, defied sexist stereotypes and backlash, to win an otherwise all-boys soccer league competition. 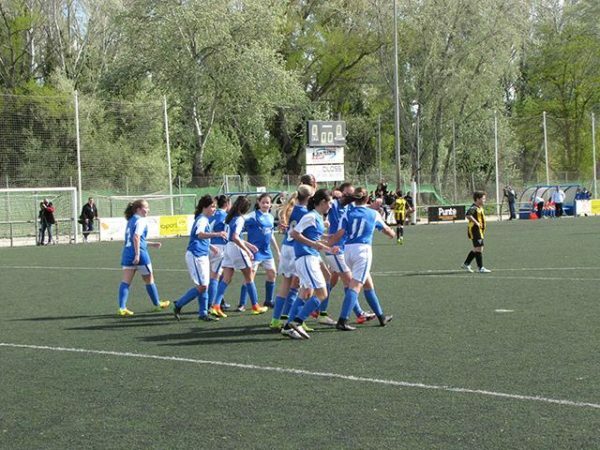 AEM Lleida has been focusing on fostering female talent on the field for a decade and their hard work is certainly paying off. They have had girls teams playing in girl’s leagues, but in 2014 they decided to compete in a boy’s league to push and challenge the skills of the players. A report in The New York Times spoke with AEM executives to learn how they became a success story in a landscape where women’s soccer is virtually invisible. 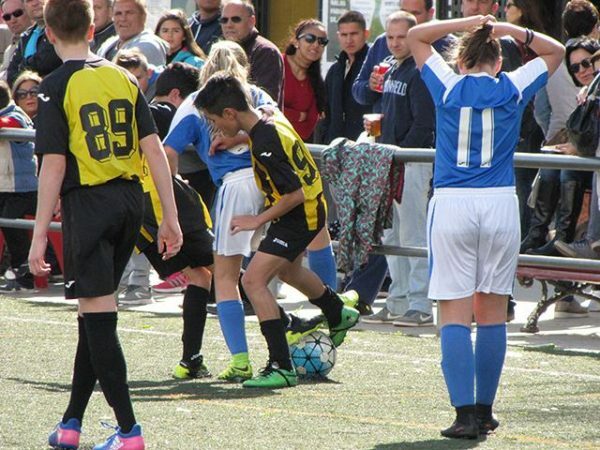 According to the article, a Spanish soccer federation rule allows clubs to be mixed gender up until the age of 14, so AEM decided to take advantage of this in their idea to push for more gender equality. Starting in 2014, they enrolled a girl’s team into a boy’s league for the first time. Initially they didn’t do so well, coming 12th out of 18 teams in their first season, but eventually, through hard work and persistence, the girls started beating the boys with regularity. As expected, in a culture where soccer is revered almost like a religion, and more synonymous with names like Real Madrid than young girls pushing gender boundaries, the female players received pushback and sexist backlash from a variety of people. Coach Daniel Rodrigo recalls one match where the referee kept referring to the girls as “las princesas” (the princesses). 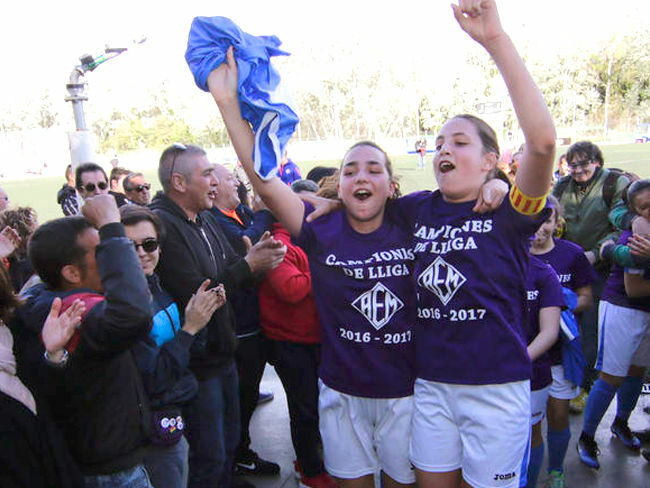 AEM’s president Sergio González said some of the girls’ parents were initially reluctant to have their daughters play against boys. “A few parents called us crazy when we registered the team. If this had gone very wrong, we would have been held responsible for humiliating the girls,” he said. One of the mothers, Ana Marie Biela, said her daughter Cristina was adamant about playing despite her reservations. “I delayed as long as possible because I was afraid that she would get hurt by the boys. She kept answering that she could also hurt boys,” she recalled. But the most surprising sexism, said the club’s general director José María Salmerón, has come from mothers of players on the boy’s teams. “It’s really been more a problem for parents rather than their boys. It’s strange, but most of the macho comments and insults have come from the mothers of some of the boys we play,” he said. Goalkeeper Andrea Gomez, who was also the team’s top scorer with 38 goals in total, said gender was not a factor in limiting her and her teammates, but they were surprised by the sexism remarks. “There was a match in which a referee told us that we were ‘Barbies’ and that we could not play soccer. Or a mother who insulted us and told us that we had to go and clean,” she told CNN. They did not let this negativity get to them, instead they ensured the proved all the critics wrong by their skills on the field. The girls only lost one game out of 22, and were so high on the points ladder they they were declared league winners 4 games before the season even ended in March. Their final game was against one of the toughest rivals, La Noguera, who have actually acknowledged the superior talent of the AEM Lleida girls from both the staff and young players. Pere Clarisó, La Noguera’s technical director, praised the discipline instilled in the girls by their coach. “Tactically, you can see that these girls listen to every word from their coach. They really try to do as they’re told. Coach Daniel Rodrigo knew that if the girls were going to be be successful, they would have to counter the dominant speed and strength in the boys. “What we planned from the beginning with the girls is that if we wanted to beat the boys, we would have to have the ball much more than them because, in strength and speed, we cannot compete against them,” he said. Despite losing to girls, one of the players didn’t hesitate to give credit where credit was due. “It’s hard to lose against girls. But these ones really are very good,” said player Oriol Marchal. “They fought more than us. We also worked hard, but they wanted to win the league, and they deserved it,” player Alex López said. Being able to lift the trophy to the tunes of Queen’s ‘We Are The Champions’ was no doubt a highlight for the girls and AEM Lleida. But skills on the field are not enough to lift the profile of women’s soccer in Spain, a country where, in the 2015-2016 season, more than 112,000 boys were enrolled to play, compared with fewer than 4,000 girls, according to the Spanish football federation. It will take media paying more attention, soccer federations and organizations investing in the talents of girls at an early age, like AEM did, and most importantly, funding and sponsorship. AEM launched a GoFundMe page to raise money, leveraging their championship win to attract some financial investment. “Women have made real progress, which is amazing when you look at the big difference in how the money is allocated. I know some clubs that only use their vehicles to transport their boys; the girls have to fend for themselves,” said Sergio González. Andrea Gomez told the NYT how she plans to play soccer in the United States in the future, as it is a place “where women’s soccer is really valued”. Yet even in the US, where women’s soccer is in fact more popular than men’s, there are still some major gender disparities. The Women’s National Soccer Team has won 3 World Cup trophies, and their last grand final in 2015 attracted the largest broadcast audience for any (male or female) soccer game in US history. Yet they have been paid less than the Men’s National Team which only made it to the knock-out stage in 2014. Retired player Abbie Wambach has been speaking about the need for equal pay and equal coverage of women’s soccer since hanging up her boots, something which you’d think would be a given by now. But while women in a number of sports are pushing for parity, the importance of fostering gender equality from the ground up at an early stage cannot be stated enough. It will be the key to proving critics wrong, and ensuring the next generation of youth grow up in an environment not looking at gender as any sort of barrier to entry. what everyone is forgetting is that girls mature three to five years earlier than boys so its girls that have the advantage and the girls prove it. This is why we shouldn’t have all girl teams prebuberty playing against boys because it makes the contest a gender battle not an athletic game. To be fair the boys should have been three to five years older than the girls because of the maturity advantage girls have.